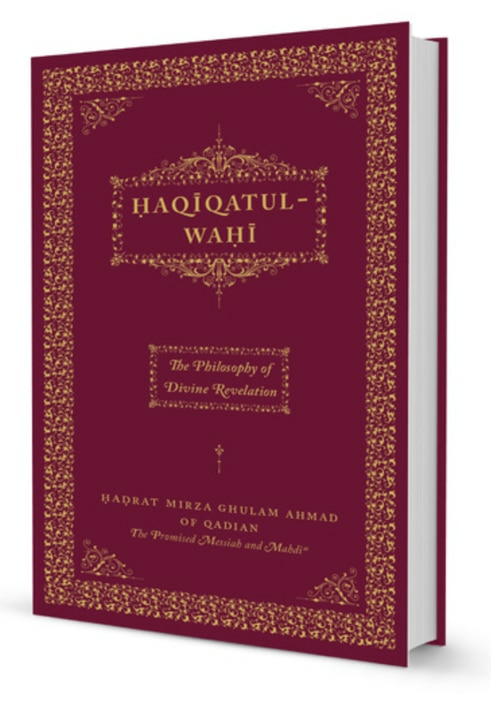 ‘Haqiqatul-Wahi: The Philosophy of Divine Revelation’ is one of the most important books of Hazrat Mirza Ghulam Ahmad, the Promised Messiah and Mahdi (peace be upon him) —and soon it will be available in English. Published just a year prior to his demise, the content of Haqiqatul-Wahi spans virtually the entire ministry of the Promised Messiahas and stands as his second longest written work ever. 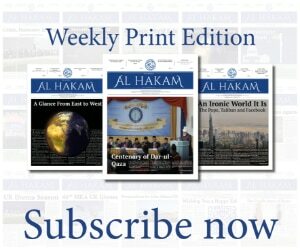 Through reasoned arguments and a detailed exposition of heavenly Signs, Haqiqatul-Wahi proves that God exists and still speaks to His chosen ones; it also establishes the truth of Islam and the Holy Prophet Muhammad (peace and blessings of Allah be upon him), as well as the truthfulness of the Promised Messiahas. Its importance in tabligh [conveying the message] cannot be overstated. (3) Those who receive revelation from God Almighty in its purest and most perfect form and who are honoured with divine communion and discourse in all its perfection. Each of these types is discussed in a chapter. In chapter four (4), the Author relates his own personal experiences; that is to say, he explains as to which of the three categories he has been placed in by the grace and munificence of God Almighty. This chapter ends with a transcription of numerous revelations bestowed upon the Promised Messiahas. Questions and Answers – The Promised Messiahas then turns his attention to ‘Abdul Hakim Khan, who was at one time a follower of his, but then began to question the teachings of the Promised Messiahas. In particular, Khan believed that it was not necessary to believe in the Holy Prophet Muhammadsa to earn salvation. “According to him,” the Promised Messiahas relates, “one can attain salvation even after abandoning Islam.” In letters to the Promised Messiahas, Khan asks nine questions, which the Promised Messiahas answers in Haqiqatul-Wahi. 210 Signs – The Promised Messiahas then recounts more than 200 Signs to prove beyond a shadow of a doubt that he is true in his claims. Some of these Signs are the fulfilment of prophecies by earlier Prophets; others by Auliya-ullah [Friends of God] from the Muslim ummah; and others yet which are fulfilled at the hands of the Promised Messiahas. Some Signs are related in a few sentences, while others span more than fifty pages. Al-Istifta’ – The last portion is a translation of an Arabic treatise, the title of which means, “seeking a verdict from the scholars of Islam”. Written in highly eloquent and classical Arabic, and sealed with a hauntingly beautiful 50-page ode in Arabic (known as a qasidah), al-Istifta’ addresses the Muslim divines of the Arab world and beyond. Limited quantities will Insha-Allah be available at Jalsa Salana UK 2018. Shortly thereafter, the book should be available in the UK through normal Jamaat channels, though Additional Wakalat-e-Tasnif would encourage members to purchase Haqiqatul-Wahi through Amazon.com (beginning in October), which will serve to raise the book’s profile to non-Muslims and non-Ahmadis who are browsing books online related to God, Islam, etc.